When many people hear the word “sales”, they think of a pushy car salesman or maybe a loud infomercial telling us “wait, there is more” at two in the morning. But if you are involved in industrial sales, the word may give you visions of negotiations, relationship building and volume orders. The Lawler Group understands the difference and has over forty years of experience and industry contacts to make the group the first industrial sales recruiters you should call in Milwaukee. If you have experience in industrial sales, you probably know a lot of people in the industry you have been working in. That’s a good thing and it probably helped you to be successful. The recruiters at the Lawler Group have a lot of contacts too, but not just in one industry. What if your next success is in a related industry that you have not built a network in yet? 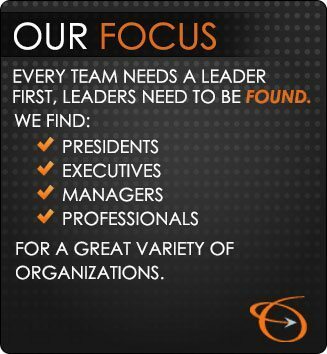 We can help you search in an industry you are already comfortable in or expand your search to include new challenges. We leverage the worldwide MRINetwork to help you locate the best opportunity. When you approach a new client, you probably spend time preparing for your presentation. That’s a good practice when starting to work with an industrial sales recruiter too. The recruiter can be more successful on your behalf if you equip them the information that will allow them to show quantifiable accomplishments. Saying you are a successful sales professional is not that informative. Showing that you increased sales by 38 percent over the last eighteen months illustrates how successful you have been. Demonstrating that you increased client retention by 18 percent will get more attention than saying “responsible for client retention”. A vague claim of “top” or “successful” is usually not very persuasive when compared to achievements that have context and some specificity. When it comes to the job market, show is more effective than tell. Aside from our contacts in a wide range of industries, the Lawler Group can provide a lot more assistance. We can provide assistance with your resume, taking it from being on one of the piles to an effective marketing tool that gains the attention of hiring managers. If your next career choice involves relocating, we can help with that, as well. Our relocation tools help you figure out the cost of moving, quality of life and salary calculators that will help ensure that your new position will maintain the standard of living you want for you and your family. On top of all that, our fees are paid for by our client companies, making us a cost-effective resource for you. If you’re considering using an industrial sales recruiter in Milwaukee, check with the Lawler Group. Contact us to see how our professional recruiters can use their expertise, experience and network to move you from “seeking” to “hired”.